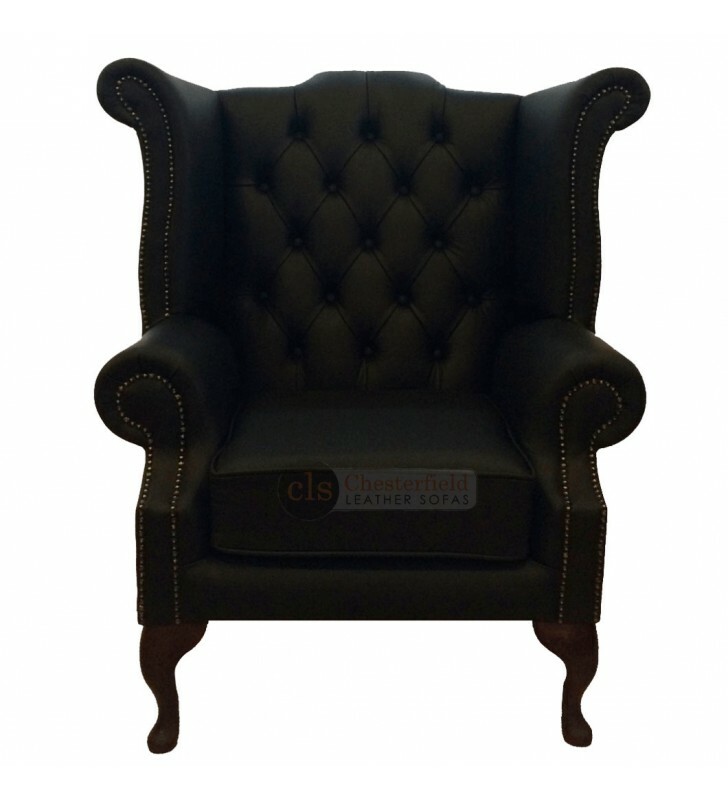 Add a high quality modern touch to your home with this Black Genuine Leather Queen Anne Armchair, its high backed winged design holds many years of combined comfort and style. Handmade in the UK using 100% genuine leather. Embracing its British classic style with the buttoned back and scrolled arms, which are finished off with metal beadings, give an elegant look to your home.